After channeling our inner Robert Irvine and Josh Temple for two weeks over Christmas 2012, our front office renovation has been declared complete. We appreciate all the great feedback we’ve received in person and on our facebook page. Why the changes, you ask? All in the interest of providing an exceptional patient experience. Opening the office up allows more natural light to come in and give you views of Lake Champlain and the Green Mountains of Vermont while you browse for that next awesome pair of glasses. Plus the new space allows for more than double the previous frame inventory featuring brands like: Banana Republic, Nike, Cole Haan, Marc Ecko, Izod, Op, BCBG Max Azria, Takumi, and more. So stop by, take a peek, and let us know what you think. And if you haven’t watched our renovation trailer, give it a view and we think you’ll agree it was time. 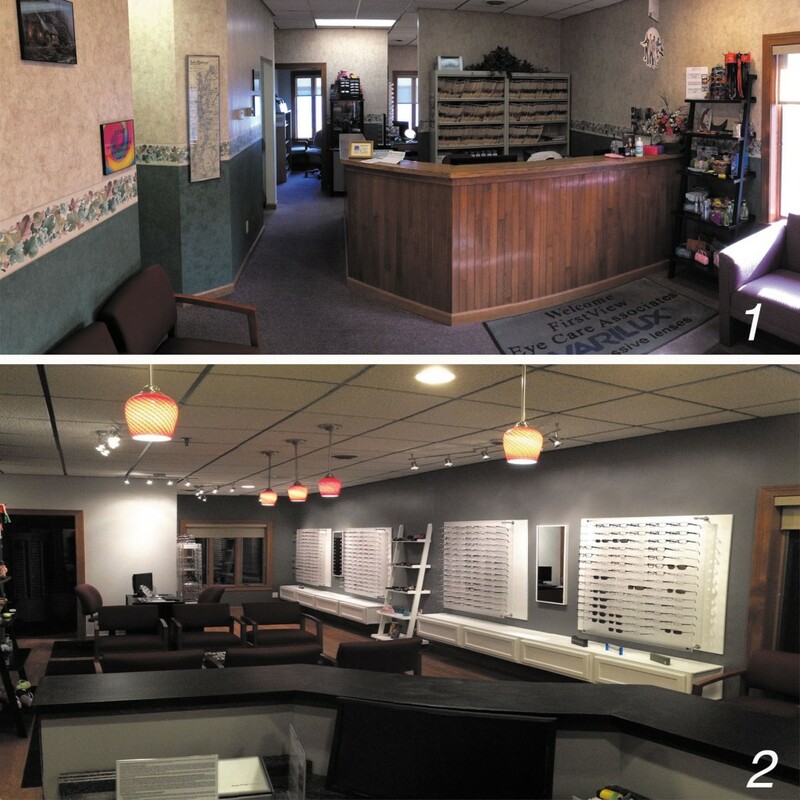 FirstView Eye Care AssociatesUncategorizedNew Year, New Digs. Same Great Care.